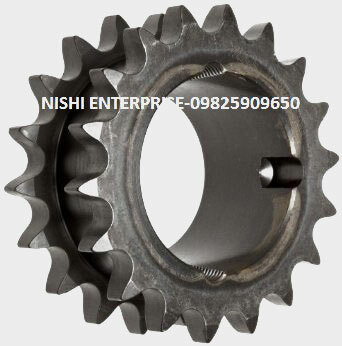 Nishi Enterprise is a highly reputable manufacturer of top-grade sprockets that are used in different types of industrial projects. The two stand sprockets that are designed and crafted by Nishi Enterprise are considered as some of the best in the industry. We regularly manufacture a wide range of two stand sprockets that come in numerous pitches and sizes. The products that we have to offer also come in a myriad of different materials. We always make use of the best grade materials that guarantee high robustness along with a long life. Each and every two stand sprocket that we produce is tempered in an extensive process so as to ensure excellent performance and a long life. The hardness of these sprockets makes them versatile enough to be used for a wide range of projects. Some of the versions in which our products are available include En 24, En 19 and En 8/9. We can also create custom products based on the sizes and specifications that are presented to us by our customers. The two stand sprocket products work in the same way as the double simplex. These two stand sprockets are crafted in a way so that they can withstand heavy work load as well as extensive usage in various industries. 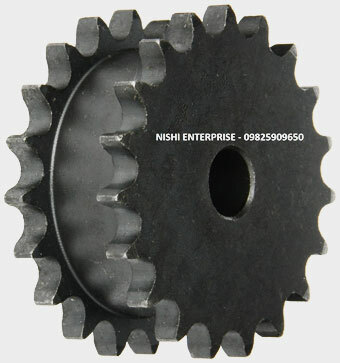 At Nishi Enterprise, we have been manufacturing state of the art two stand sprockets for a long time. We always procure the best quality raw materials that we then use for developing two stand sprockets in a number of different diameters and sizes based on the specific needs of the clients. Our ability to design and create custom two stand sprockets has made us a leading name in this industry over the years. The high end two stand sprockets that we produce regularly are used extensively in chemical industries and sugar industries. We technically manufacture some of the most advanced forms of two stand sprockets that can be used for transmitting rotary motion conveniently between two shafts. By working the latest technological infrastructure, we create high quality two stand sprockets that can deliver you excellent performance each and every time. So consult us today for finding the best two stand sprockets that money can buy.